It was 1999, and Wendy was in solitary confinement in an upstate New York prison, reeling from the effects of heroin withdrawal. In pain, she oscillated between two thoughts: “I wanted to believe that I was getting better, and I wanted to believe that I was going to go home and that I was going to be this perfect mom, and that I was not going to come back to prison and that this is not for me. And then there were times where I was like, ‘Yeah, that’s where I’m supposed to be, yeah, I belong in here.’” At the time a 29-year-old mother of five, Wendy Porrata, a self-described Nuyorican, was arrested for the sale of a controlled substance, to support her use of cocaine, heroine, methadone, and prescription drugs, leading her to spend two and a half years in prison. During these years, after one heartbreaking visit from her son, she had refused to have her kids visit her and anxiously looked to life after prison when she could return to parenting. Wendy soon realized that her encounter with the justice system would make family life hard: Upon her release, she found that she could not return to her old apartment, regulated by NYCHA Section 8 housing, to live with her longtime partner or with her kids, who had been split among various family members during her incarceration; as a former criminal offender, she would not pass the necessary background check. As Wendy, now middle-aged with a warm, matter-of-fact demeanor, recalls, “Coming home to nothing and to people not believing in you or supporting you was a stress that became hard to cope with.” Seventeen years later, she still sounds fatigued when recalling her struggles to reconstitute her life beyond bars. Wendy had been arrested several times before going to prison, all for petty violations—each time, she had gone through the motions of regular public defense: “I had been represented in the past by many other agencies and attorneys, and it was very systematic, very robotic, very like: ‘OK, you’re here, you’re off your case, do good, don’t get in no more trouble. Goodbye.’” This is far from an isolated case: Traditional public defenders are overworked and often underfunded, leaving them little time to deal with clients. A Mother Jones investigation found that “on average, a public defender would need about 3,035 work hours—a year and a half—to do a year’s worth of work.” The investigation noted that this results in a “meet ’em and plead ’em” routine wherein 90 to 95 percent of their clients plead guilty. According to the Bureau of Justice Statistics, about three-quarters (73 percent) of county-based public-defender offices exceeded the maximum limit of cases per attorney in 2007, as recommended by the National Advisory Commission on Criminal Justice Standards and Goals and the American Bar Association. Public defenders don't have enough time or resources to take care of their clients. So 90-95% of them plead guilty. Living in poverty, Wendy was arrested for shoplifting and was referred by a lawyer to see a social worker at the Bronx Defenders—as she quickly discovered, this was not a regular public defender’s office. A seasoned team of attorneys founded the Bronx Defenders in 1997, a year before Wendy’s conviction. Robin Steinberg, the founder and executive director of the Bronx Defenders, recalls that when trying to figure out the community’s needs, “we became aware of things we never knew before: the depth and the breadth of the enmeshed penalties that our clients were suffering for criminal-justice involvement.” One case can redefine a life. Employment, housing, visas, public assistance, and the right to raise or see kids can all be jeopardized by arrest, conviction, or even unproven allegations. Moreover, incarceration’s costs to involved families were enormous: As recently detailed in a study by a national community-driven research project, Who Pays?, just the debt resulting from court-related fines and fees amounts to $13,607 a year on average. One case can redefine a life. Employment, housing, visas, custody can be jeopardized by arrest or even allegations. In the Bronx, much of the population relies on city agencies for benefits and housing, making them vulnerable to the city’s intense scrutiny. As Robin Steinberg tells me, most of the cases seen by the Bronx Defenders are low-level misdemeanors “for conduct that occurs everywhere in NYC but is only being policed here: marijuana, trespass such as hanging out in public parks after closing hours, open container alcohol, jumping turnstiles….” In 2014 for instance, 75 percent of the cases arraigned in the Bronx were misdemeanors, 2 percent violations/infractions, and 18 percent felonies. In contrast, Manhattan, Queens, and Brooklyn have slightly lower misdemeanor rates (ranging from 69 percent to 73 percent) and lower felony rates (12–13 percent) but much higher infraction/violation rates (10–13 percent), indicating that people in the Bronx might be charged more harshly for crimes that would be deemed infraction/violations in other boroughs (Staten Island has similar numbers). It’s very hard to disentangle neglect from poverty. Having an empty fridge can lead to losing your children. However petty the violation, it can have catastrophic effects. Mismatches in agency policies ensnare defendants, who have been either arrested or investigated by child services, in a web of insurmountable obstacles that Emma Ketteringham, the managing director of the Family Defense Practice at the Bronx Defenders, calls “Kafkaesque.” Parents can be kicked out of NYCHA housing for arrests, often leading them to resort to single-woman or -man shelters, which then prevents them from getting their children back from ACS until they are in a family shelter—yet with no children there is no access to family shelter. In some cases fathers are required to pay child support when they can barely support themselves, accumulating debt of which, if incarcerated, they can be unaware. The justice system thus becomes merely the first milestone in a long journey. 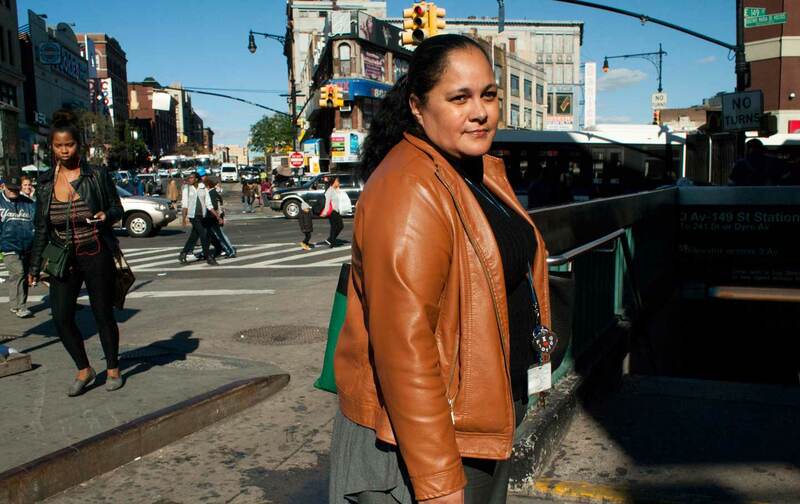 Much as a drug case pushed Wendy out of her home and out of a job, other Bronx residents found that, after they have served their time, they face a lifetime of consequences. Bill de Blasio’s administration has recently tried to address this through creating the Children’s Cabinet to homogenize agency policies to make sure they help, rather than hinder, indigent communities. Traditionally, in a public-defender office criminal attorneys work separately from family defense or immigration attorneys and from social workers. The Bronx Defenders have pioneered a different model, to become, in Robin Steinberg’s words, “a one-stop shop for clients where we made it very easy for clients to access the services they need.” When clients walk in, a lawyer or social worker immediately helps them with any issue from food-stamp access to healthcare to a job search, or will refer them to other organizations. Staff members speak 31 different languages. 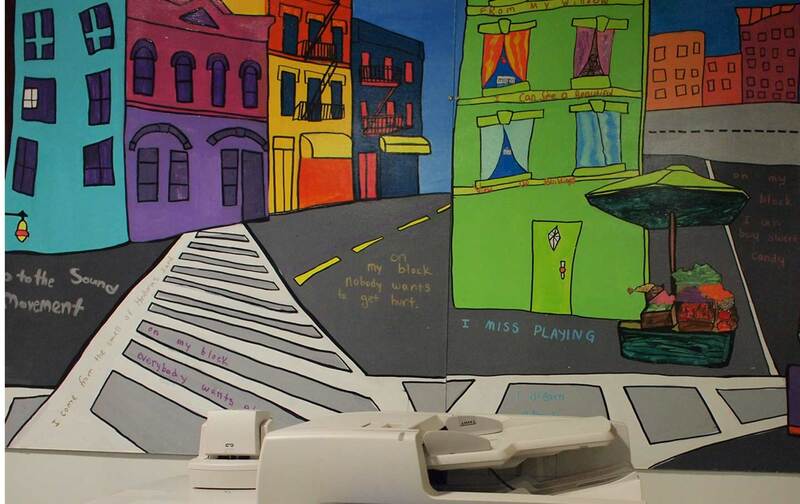 Bronx Defenders is still, like other public defenders, strapped for cash. Due to the scarcity of public money in indigent defense, the Bronx Defenders have tried to diversify their funding stream by getting 7 percent of its funds through private foundations and individual donations, making ends meet thanks to fundraising, a strategy accessible and increasingly used by public defenders in the city. It is into this office that Wendy walked in in 2002. 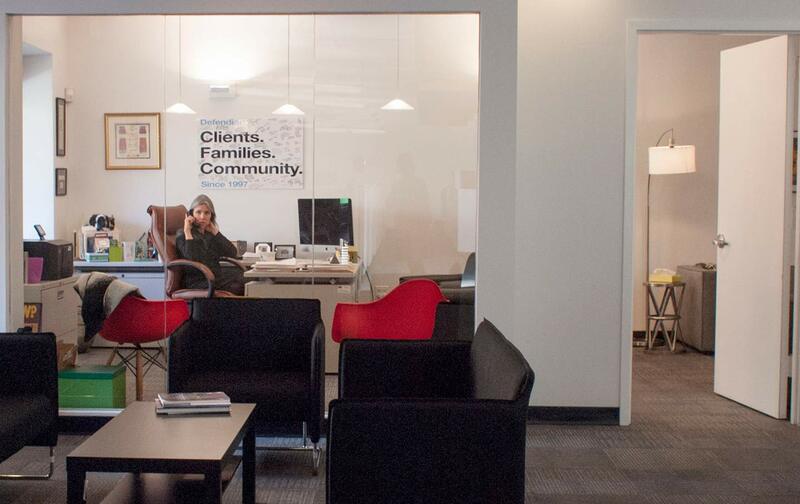 The space was strikingly different from many other defender offices: The receptionist was not hiding behind a glass wall; clients were meeting their attorneys, advocates, and social workers all over the buildings, on couches with colorful cushions scattered throughout the space, or using any staff member’s office. Meanwhile, kids excitedly bounced from one colorful chair to the other, played games, or lined up to ride a stout little rocking horse. With a total staff of 250, the Bronx Defenders has about 161 lawyers, 19 social workers, and 15 parent and legal advocates. Wendy’s case was far from an aberration in the Bronx family-court landscape. As Emma Ketteringham tells me, “it’s very hard to disentangle neglect from poverty.” Having an empty fridge or not having access to childcare can lead to losing your children. And as Robin Steinberg notes, “Child welfare is criminalizing women of color in this community, while the police are criminalizing men of color in this community.” In New York, the state can take a child from its home only if the child is deemed to be at imminent risk of serious harm, but this harm is balanced against the harm to a child when they’re removed from their home despite the existence of risk. Much of the family defense practice involves finding how, with additional state services, a child could remain safely at home rather than landing in foster care. 437 children were returned home to their families thanks to the Bronx Defenders, according to the organization. After Wendy’s arrest, she found herself in and out of family court, where a judge assessed the validity of her parental rights. She was unable to secure housing to get her family back together, seeing her kids only a few times a week. In Wendy’s case, BxD helped her to access the service she most needed to get her kids back: access to detox and rehab and to a single-woman shelter in the Bronx. When she returned to court in 2003, with the Bronx Defenders at her side and her detox certificate in hand, the judge finally gave her the right to raise her children (on probation). Two, then all five of her kids, joined her in the shelter. For other cases, too, the family defense practice has been a resounding success: In 2014, the Bronx Defenders reported that 437 children (49 percent of those in foster care, an astounding percentage) were returned home to their families thanks to the Bronx Defenders, and children in the Bronx have been spending less time in foster care since the organization’s arrival. Unable to regain housing, Wendy was consigned to her shelter for four years with her five kids, and eventually a sixth child was born. By that time, Wendy had overturned ACS so many times that she could rest assured that they could not take the baby away from her. A few weeks after his birth, she was subsidized by a city program to move into an apartment. It was only when Wendy became a victim of a crime that she was able to go back to Section 8 housing, 10 years after her conviction, in a case that the Bronx Defenders helped argue. Other battles were still to be waged: She turned to BxD to regain access to basic government aid again when her benefits kept being suspended–her $22,000 a year, to raise five kids, was deemed too much money. Good public defense might be the right place to start to ease the racist and aggressive nature of our justice system. As a platform for public defense, the Bronx Defenders’ rate of success is staggering. According to BxD, from April 1, 2014, to March 31, 2015, the Bronx Defenders prevented the evictions of 307 families with more than 870 household members, thus achieving over $11,373,429 in shelter-cost savings for taxpayers; preserved the unity of 214 families by preventing the deportation of a parent or child, affecting more than 393 family members; and obtained lawful immigration status for 73 other clients. Traditional victories in the courtroom also stand out: Of the 73 trials held by the Bronx Defenders in 2014, only 7 ended up with a conviction on the top count (i.e., not lesser charges). (This is to be placed in the context of the Bronx, which has the lowest conviction rate in the city, a fact Robin Steinberg attributes to a jury pool that is “extraordinarily sophisticated and educated about the criminal-justice system.”) And the lower conviction rate for the Bronx Defenders speaks to the success of holistic defense. Good public defense might be the right place to start to ease the racist and overly aggressive nature of our justice system. According to a study from the Vera Institute, published in 2014, the difference in the quality between defenses provided by private lawyers and those provided by underfunded public lawyers is one of the most salient factors accounting for higher number of black and Hispanic people in courts and jails, as people of color, more likely to be poor, are often represented by public lawyers. BxD’s clients exemplify this: Fifty-six percent of them identify as black/African American and about 43 percent identify as Hispanic/Latino. Wendy is fully transparent with her children about her past in order to help them navigate the system’s obstacles. Wendy, now employed as a social worker for a city agency, jokes about how her social-work career has empowered her to nudge less-experienced clients to make the right choices in a tough system she knows too well—I can easily imagine her at work, after I leave our meeting with a few maxims and some wise life advice to ponder—notably not to become one of those New Yorkers who stress about every detail of life and let it go by as they run from place to place. She has tried to be a constant source of support for her kids, with whom she is fully transparent about her past, to help them navigate the system’s obstacles. All but the two youngest are now adults, and independent, and they’re successful: Her oldest daughter is working and raising her two children in Queens, while her second oldest moved to Florida and became a security guard. Her other daughter was valedictorian of her high school and just started college in August, as did her oldest son, despite his learning disabilities. The closest direct encounter her children have had with the justice system was a ticket given to the latter after one of his friends passed through a subway turnstile on his MetroCard swipe—a ticket that the Bronx Defenders eventually had waived. Hélène BarthélemyTwitterHélène Barthélemy is an assistant editor in nonfiction publishing based in New York. She writes on the justice system, with a more specific focus on its attempts at reform and accountability. She is a former Nation Books intern.